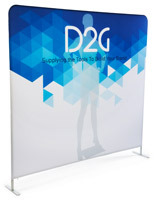 Our 6’ spandex table cloth made of high quality 180g polyester fabric includes custom printed logos, text, graphics and colors designed by you to boost brand awareness. 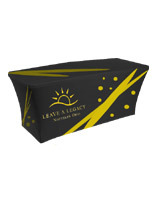 With its chic design, this cover will catch the eye of any passer-by at your event. 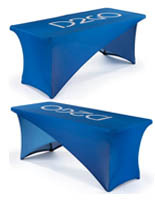 The designable spandex table cloth features a full back with a zipper closure, aiding you in the ability to have extra storage space underneath. 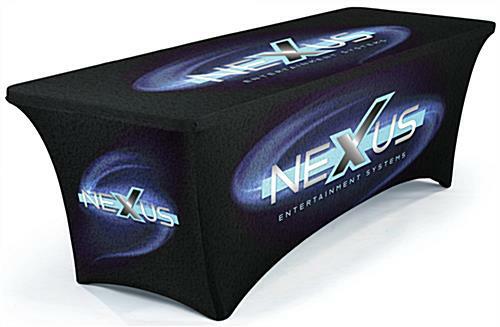 The full bleed custom printed area on the rectangular cover gives you plenty of room for your brand’s logo. 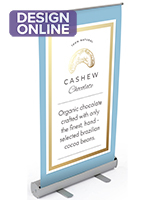 For eye popping customization features as well as security for your products underneath, this table cloth is a must-have for any event, trade show or convention. 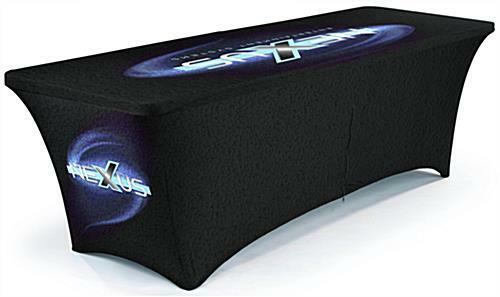 Utilize this rectangular cover with compatible 72” folding furniture pieces to present yourself in a professional and creative manner! 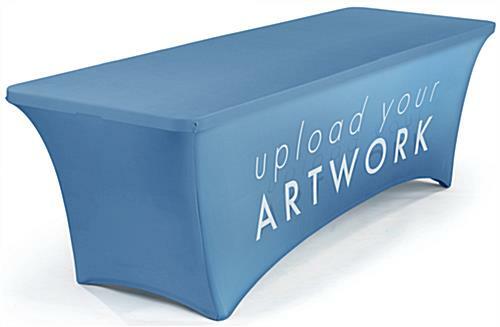 Please Note:These are white tablecloths that are dyed with your artwork. 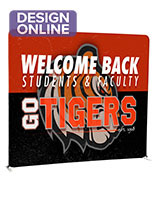 These are designed to have edge-to-edge artwork applied, not just a logo in the center. 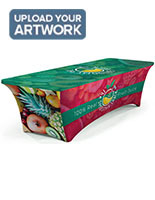 Any artwork that is submitted with only a logo will print as a white tablecloth with your logo added. 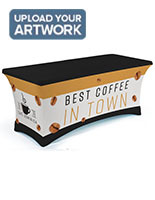 An in-stock lead time of 8 business day(s) begins after the artwork proof has been approved. Product does NOT ship on a same day basis. I was skeptical when I heard this entire fabric piece was printed with color, but it looks great! I also like the reinforced 'feet' corners. Hi Claes, We're sorry to hear part of the product is faded. We've forwarded your feedback to our team of customer care specialists and they'll be reaching out to you to assist. Thanks! Overall the table cover looks great and matched my submitted design well. But I ordered the version with the zipper and was sent the version without the zipper. The cost difference isn't that big but it would be good to have received what I was expecting. We're sorry that you received the wrong product, Chris. Someone from our customer care team will reach out to you promptly to address your issue.